It’s been an unorthodox, rocky road for O-Town. After rising to fame in 2000 as the first-ever television-made music group spawned from the debut season of Making The Band, the five-piece boy band struggled to keep up with the initial hype. Dropped by their record label after the release of their second album, the band quickly faded into the background and broke up in 2003. 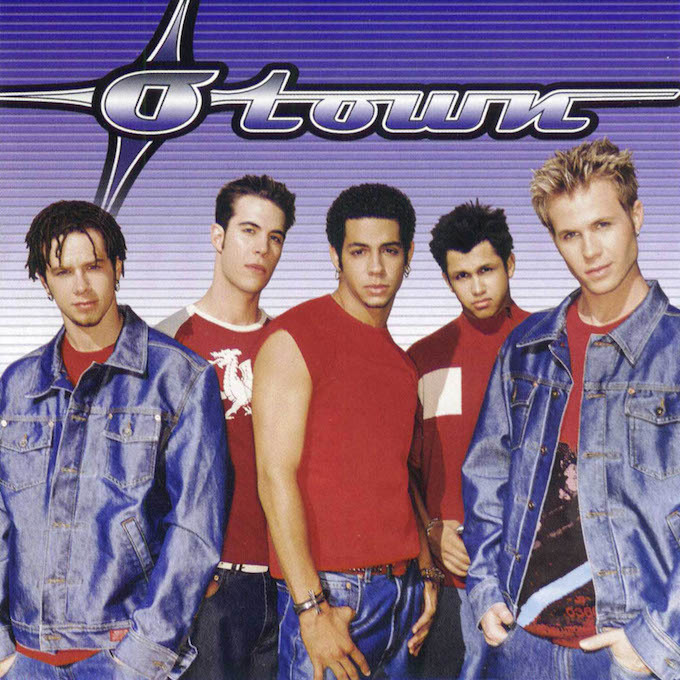 A decade later, O-Town surprised audiences with a self-made comeback. 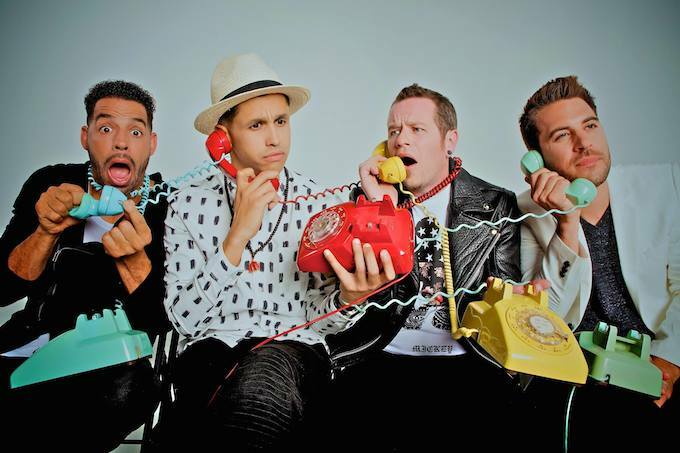 Erik-Michael Estrada, Trevor Penick, Jacob Underwood and Dan Miller continued on without original member Ashley Parker Angel, releasing new music like 2014’s Lines & Circles with All About the Melody Records and hitting the tour circuit once more. We got the chance to chat with founding member Jacob Underwood about O-Town’s current tour and upcoming new releases. For a show filled with new songs and boy band nostalgia, check them out at Slim’s in San Francisco on the 27th of February. Jacob: Better than we ever could have planned. This is the second time around for some of these cities and the first for the California dates. We are playing in some cities we haven’t been to for over a decade. The turnout is awesome. I think they’re having as much fun as we are reliving the old hits like “All or Nothing”, when that song starts the reaction is pretty awesome but it’s really fun to see people singing along to the new record too. We’re surprised how many people know all the words already. Did you go on a tour last year as well? Yeah, we started about a year and a half ago and did some in the north east and down in the south east and last year we were actually in between agents. We were switching our personnel and the people we were working with so we only did one tour last year and this year we’re back at it so this year we’re booked through September. We are doing a lot more. So now we’re doing the whole country a week at a time that way Dan can still do his Daddy duties. He’s married and got two kids at home. So we go out for a week and then we’re home for the rest of the month and then we go out for another week so we can balance family-life with the band. It seems to be hard to be able to combine private life and constantly being on tour. Yeah exactly, if we do it we have to balance and make sure it’s something everybody can do without sacrificing your family time, you know and so we kind of got it worked out now, I think. The ball is moving. It took us a long time to get back together for that reason. Everybody was doing different things and committing is really hard. We have all these responsibilities but I think we’ve got it down now though. It’s working, working for us and our schedules and we’re even starting to discuss whether we do new music and keep going. Are you all located in the same area at least? Trevor and Eric are in Los Angeles, I am in San Diego and Dan is in Arizona. So it must be difficult to get everyone together to record new music. Yeah that’s why for interviews right now it’s either one of us or there’s a conference line because we’re all spread out because it’s tough to get everybody to do the same thing unless we’re on tour together. But it seems like you’re having a lot of fun with the shows, right? Absolutely, this is the most fun we ever had doing this. We appreciate it more as adults and we balance it correctly. You know, I loved what we used to do but 320+ shows a year gets draining on you so we got a good balance now and I think that’s what keeps us wanting to do more and possibly more music because now that the balance is there, we get the best of both worlds. And I know you also had your solo project, are you still working on that too? Yeah, I’m always writing for a solo record I hope to be putting out someday or for other artists. I’m also keeping some stuff to the side that I think fits the O-Town project but I’ll probably put something out in the next two years. Just to put it out. I feel like there’s a lot of music that’s sitting on my computer that I want to share. So you haven’t had a long break of performing live shows since you also had the solo project? The studio can drain you because everything is so meticulous and perfectionist and you’re striving so hard and then you get to the show and you see everyone have fun and it makes it completely worth that stress. I know you are all musicians and you all write and play music. Have you ever thought about forming as a live band? We are not the typical band where one person plays drums, another person plays the guitar better than everyone. That’s not what we do. We are four very different guys put on a stage together. So we try to highlight our differences. In the show now we do an acoustic section where we break it down and harmonize along with the acoustic guitar so you can really hear us balance our vocals. But I think the show we put on now more resembles a rat-pack show where it’s a lot of goofing around, a much more adult show where we rip on each other, we rip on ourselves, have fun with the songs. There’s a lot of comedy involved instead of “Oh look at how great we play.” We’re just trying to throw a party so it’s much more of a DJ set and a party atmosphere. So your comeback has been pretty much completely self-made. What made you go this path? Yeah, I do all the management for the band. When you watch the old Making the Band shows, I was always fighting for a bigger say and more control and trying to shape our sound and image and that’s frustrating as a kid. I realize now why they didn’t let us do that. Now as adults, that’s what we wanted to do. Take what we learned from Clive Davis and what we learned in school and in the past and apply that to making our own product. Something that was finally a product of us. We got together and created these songs and produced and edited and did the image for the album, all of our merchandise is designed by Dan so it feels better because everything that we’ve gotten to at this point we’ve done ourselves and people who say that they love the artwork, they can tell Dan straight to his face. So it feels good because it’s not some person in the background – It all comes from us. It came out August 2014 and we probably started talking about it early 2014 before it actually became something that we decided to do. So when we decided to, it only took two months to do the album. A really short process and a lot of good creativity with all of us guys in a room writing songs together like we had never done before. Now that you’re spending a lot of time together as a band again, do you ever get on each other’s nerves or have you outgrown that? No, we’ve outgrown it. We really cherish the time we do spend together because once we go home we don’t see each other. We only see each other on the road. So for that week we are together it’s like boys club. It’s a small traveling fraternity. Every night is a Friday night and we enjoy our parties. We have a lot of fun together. They’re good guys. We get on each other’s nerves on purpose because everyone is very competitive so we’re always ripping on each other, dissing the other person’s team that they root for but it’s all in good fun. We love each other. Would you ever go back to reality TV? Yeah, I would. Dan probably would say no. I didn’t really have a problem with it. As adults you have grown so much so you aren’t as threatened by the cameras or how you’re coming off. We’d probably be even better at it if we did it nowadays. Thanks for the interview, Jacob! Catch O-Town on their spring tour.